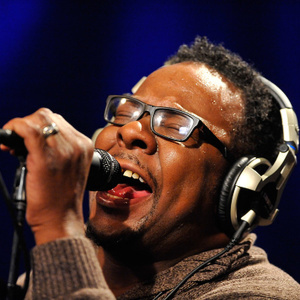 How much is Bobby Brown Worth? Bobby Brown net worth: Bobby Brown is an American R&B singer/songwriter who has a net worth of $2 million. Born February 5, 1969 in Boston, Massachusetts, Brown became famous for hits in the '80s and '90s including "Don't Be Cruel" and "Humpin' Around". But his musical fame was somewhat overshadowed in the late '90s by his highly publicized and troubled relationship with pop singing sensation Whitney Houston. Brown had an impoverished childhood that was also marred by violence. His parents couldn't afford some of the things he coveted as a child, so Brown and his friends resorted to stealing. The turning point in his life was when one of his close friends was stabbed to death at the age of eleven. In 1982, Bobby and a group of childhood friends formed the band New Edition. Their 1983 debut album "Candy Girl" reached #20 on the Billboard R&B singles chart. Despite having several successful tours, albums and singles, Bobby would later admit that he made less than $500 off New Edition. 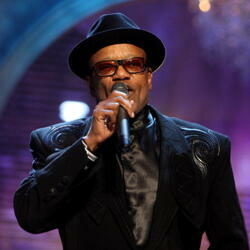 He left the group in 1986 to pursue a solo career. In 1986, Brown's first solo album, "King of Stage", was released and sold moderately well. It wasn't until he teamed up with R&B songwriters/producers Teddy Riley, L.A. Reid and Babyface that his second album "Don't Be Cruel" took the music world by storm in 1988. That album would eventually sell over 12 million copies. Bobby's third album "Bobby" sold 3 million copies. Unfortunately, just as his music career had reached a peak, Brown's personal life spun out of control. He became known as a hard partier and a womanizer. In 1992, Brown married Whitney Houston What ensued was a series of heavy drinking and drug use on the part of both stars, multiple arrests of Brown and tons of fodder for the tabloids. 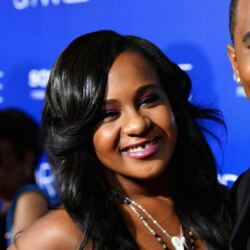 Brown and Houston had a daughter, Bobbi Kristina, then divorced in 2007. Whitney Houston died February 11, 2012. 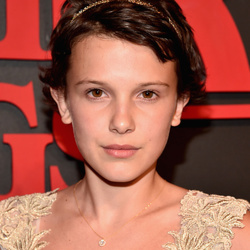 Brown married Alicia Etheredge in 2012. Tragically, Bobbi Kristina Brown died on July 26, 2015. Whitney Houston's Estate: At the time of her death, Whitney Houston was technically $20 million in debt to her record company Sony/Arista. In the nine months following Whitney's death, her estate earned enough from the sale of singles, albums and merchandise to completely pay off the remaining $20 million loan. Her estate was also able to generate an additional $20 million windfall for Houston's sole heir: 19-year-old Bobbi Kristina. When Bobbi died, she had only collected around 10% of the trust. She would collect the remainder at various milestones. When Bobbi Kristina died in 2015, any money she had collected up to that point, roughly $2 million, went to her closest living relative. That person was Bobby Brown. The remainder of the Whitney Houston estate is now controlled by Whitney's mother and two brothers.